The Igloo 120 QT 114 litre large size versatile white passive cool box ice chest is ideal for the storage and transport of your chilled or frozen beer, wine, meat or fish. 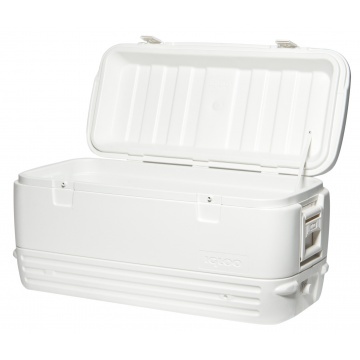 Extra large cool box with 114 litres capacity. 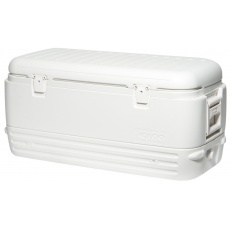 In test when box is completely full of ice the ice can remains frozen for up to 5 days. 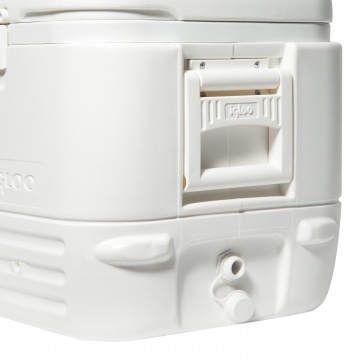 Surelock™ hinge design holds lid open for easy access. Stores 188 standard size 330ml drinks cans.